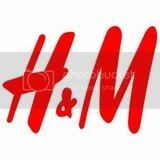 Right now if you sign up for H&M email newsletter and you will receive a Printable Coupon Good For 20% off One Item. Stay up to date on the latest trends, launches and news from H&M. Right now you'll get 20% off any item of your choice when you sign up for our newsletter. You can of course unsubscribe at any time. H&M 现在正在进行 $4 Deals for the Entire Family Sale available both in-store and online. Find great deals on shirts, shoes, pants, shorts, underwear and more! Note that shipping is a flat rate of $5.95. H&M.com is hosting their Labor Day Sale with many up to 60% off. Shipping is free with coupon code 1869 (apply in cart).